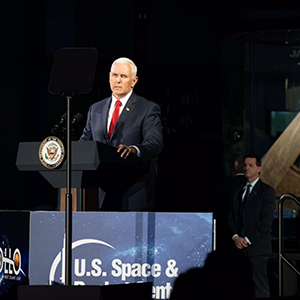 by Newt Gingrich: On Tuesday, Vice President Mike Pence announced what may prove to be the boldest space challenge since President John F. Kennedy said America would go to the Moon in 1961. Newt Gingrich (@newtgingrich) is a former Georgia Congressman and Speaker of the U.S. House. He co-authored and was the chief architect of the "Contract with America" and a major leader in the Republican victory in the 1994 congressional elections. He is noted speaker and writer. This commentary was shared via Gingrich Productions. Tags: Newt Gingrich, commentary, Trump-Pence Space Challenge, Making a Reality To share or post to your site, click on "Post Link". Please mention / link to the ARRA News Service and "Like" Facebook Page - Thanks! by Dr. Victor Davis Hanson: Progressive candidates and new Democratic representatives have offered lots of radical new proposals lately about voting and voters. They include scrapping the 215-year-old Electoral College. Progressives also talk of extending the vote to 16- or 17-year-olds and ex-felons. They wish to further relax requirements for voter identification, same-day registration and voting, and illegal immigrants voting in local elections. The 2016 victory of Donald Trump shocked the left. It was entirely unexpected, given that experts had all but assured a Hillary Clinton landslide. Worse still for those on the left, Trump, like George W. Bush in 2000 and three earlier winning presidential candidates, lost the popular vote. From 2017 on, Trump has sought to systematically dismantle the progressive agenda that had been established by his predecessor, Barack Obama—often in controversial and unapologetic style. The furor over the 2016 Clinton loss and the new Trump agenda, the fear that Trump could be re-elected, and anger about the Electoral College have mobilized progressives to demand changes to the hallowed traditions of electing presidents. The Electoral College was designed in part to ensure that candidates at least visited the small and often rural states of America. The generation of the Founding Fathers did not want elections to rest solely with larger urban populations. The Electoral College balances out the popular vote. The founders were also terrified of radical democracies of the past, especially their frenzied tendencies to adopt mob-like tactics. In response, the Electoral College was designed to discourage crowded fields of all sorts of fringe presidential candidates in which the eventual winner might win only a small plurality of the popular vote. Voting requirements have also reflected disdain for radical democracy. Lawmakers have argued that young adults who are at least 18 years old have more experience, are more independent, and take on more responsibilities than do younger teenagers living at home. Therefore, they are likely to make more reasoned decisions. 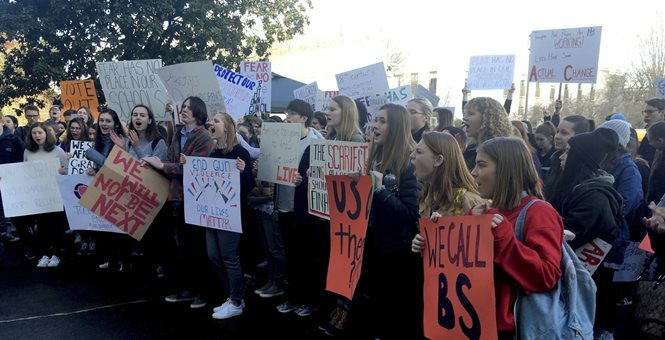 Some progressives want to lower the voting age. Similarly, most states consider the judgment of felons who have committed serious crimes suspect compared with those who have followed the laws. These states have prohibited felons from voting by first requiring completion of their sentences or parole or probation, depending on the nature of their crimes. Many on the left support measures that would ease voting restrictions on ex-felons. Progressives have deliberately confused residency with citizenship, as if a person living in America, paying some sales or income taxes, should have the same voting rights as those who are legal citizens. All these proposed modifications are aimed at changing the nature of the electorate and the method of voting in order to change results. In reductionist terms, new rules and new voters reduce the relative voting clout of law-abiding adult citizens. Leftists assume that Americans are not sympathetic to their new advocacies. In other words, the current 2019 potpourri of progressive issues might not warrant 51 percent sport among the existing voting public in the next election. Most Americans are skeptical of reparations. They do not favor legalizing infanticide. They do not want open borders, sanctuary cities, or blanket amnesties. They are troubled by the idea of wealth taxes and top marginal tax rates of 70 percent or higher. Many Americans certainly fear the Green New Deal. Many do not favor abolishing all student debt, U.S. Immigration and Customs Enforcement, or the Electoral College. Nor do many Americans believe in costly ideas such as Medicare for All and free college tuition. The masses do not unanimously want to stop pipeline construction or scale back America’s booming natural gas and oil production. A cynic might suggest that had Clinton actually won the 2016 Electoral College vote but lost the popular vote to Trump, progressives would now be praising our long-established system of voting. Had current illegal immigrants proved as conservative as past waves of legal immigrants from Hungary and Cuba, progressives would now likely wish to close the southern border and perhaps even build a wall. If same-day registration and voting meant that millions of new conservatives without voter IDs were suddenly showing their Trump support at the polls, progressives would insist on bringing back old laws that required voters to have previously registered and to show valid identification at voting precincts. If felons or 16-year-old kids polled conservative, then certainly there would be no progressive push to let members of these groups vote. Expanding and changing the present voter base and altering how we vote is mostly about power, not principles. Without these radical changes, a majority of American voters, in traditional and time-honored elections, will likely not vote for the unpopular progressive agenda. and Illie Anderson Senior Fellow at the Hoover Institution where many of his articles are found; his focus is classics and military history. 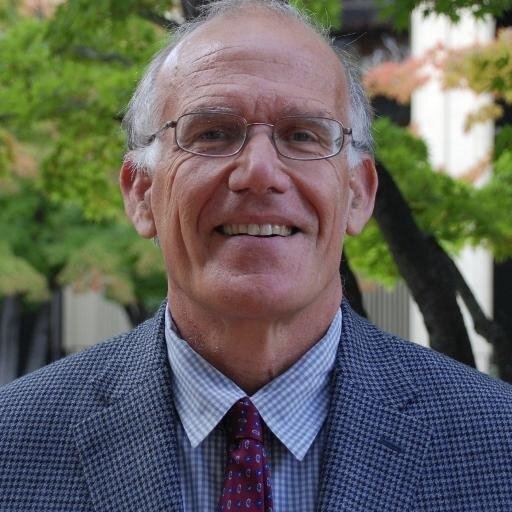 He has been a visiting professor at Hillsdale College since 2004. Hanson was awarded the National Humanities Medal in 2007 by President George W. Bush. Tags: Victor Davis Hanson, Left’s Proposed Voting Changes, Are About Power, Not Principles To share or post to your site, click on "Post Link". Please mention / link to the ARRA News Service and "Like" Facebook Page - Thanks! Everything that is wrong with the political left was on full display on MSNBC earlier this week. That's generally the case just about every night on MSNBC. "When I hear these things about 'Let's make America great again,' I think to myself: 'Exactly when did you think America was great?'" Of course, Holder's rhetorical question was just his way of saying, "America has never been great." Whatever period of time or example you might offer, Holder is ready to tell you why you're wrong and where we fell short. This is the left's mantra. They deny America's greatness by comparing it to some utopia that doesn't exist and never did. If leftists like Holder think there's a better country out there, I'm willing to pay for a first class one-way plane ticket! In fact, I think we could break records with a GoFundMe page offering one-way tickets to any liberal's workers paradise of their choice. Cuba, Venezuela, China -- wherever they think the grass is greener, I'm willing to help them get there. The truth is that America IS great compared to the other countries of the world, and I am willing to debate that with any one at any time. Reverend Martin Luther King, Jr., speaking on the National Mall. Sadly, I suspect Holder will still fail the final exam. As Ronald Reagan warned, freedom is not guaranteed. Every generation must fight for it. And so it is with American greatness. What could cause America to stop being great? What's so ironic is that people like Holder are pushing policies that guarantee America will never be great in the future. Their socialist schemes will destroy the American economic engine that has created so much wealth and given hope to so many people. Their constant race baiting and dividing us by "tribe" threatens to undo E Pluribus Unum, the melting pot ideal of America. Their support for the slaughter of innocent unborn children (and even those who are born) threatens to cause God to remove His hand of protection from our nation. Their hostility to religion and faith is a direct attack on the Founding Fathers who believed the entire enterprise of America was an exercise of faith. They built this country on the idea that liberty comes from the God of Abraham, not government. When the left controls government, the only program it is willing to cut is our military, which threatens to make us weak and no longer the greatest military in the world. Weakness invites aggression. When the left takes over an institution, they fundamentally transform it for the worse. The left destroyed the Boy Scouts. Our schools no longer teach American exceptionalism. The NFL has been destroyed by social justice warriors. And the left's latest contribution to sports is to force your daughters to compete against boys who think they are girls. The left's sexual revolution and its assault on the family has resulted in more and more children being born without fathers in the home. Are minority communities better off after decades of the "War on Poverty"? No big government program can make up for the breakup of the family. 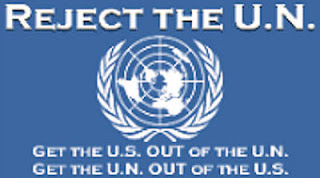 Instead of asking when was America ever great, Holder and his ilk should be asked how could their policies possibly do anything other than destroy America's greatness? It's hard to keep up with all the crazy nonsense coming from the left these days. But here are two more example of just how extreme the left has become. The Washington Free Beacon reports that several progressive members of Congress are protesting the Trump Administration's policy on transgender individuals serving in the military. (Contrary to published reports, they have not been banned.) Nevertheless, several progressives have replaced the MIA/POW flags outside of their offices with the transgender pride flags. The flags were reportedly passed out to Capitol Hill offices by the National Center for Transgender Equality "in advance of International Transgender Day of Visibility." Here we go again. The entire LGBTQXYZ movement was started on the premise of privacy for whatever two consenting adults choose to do in their bedrooms. I think most Americans were willing to tolerate that. But now they are making radical demands in the public policy square, including forcing girls to accept boys in their locker rooms and bathrooms, and forgetting our prisoners of war and those missing in action so some people confused about their gender can be "visible." As you know, the left is making a big push for socialized medicine. "Medicare for All" they call it, and when they say "all" they mean all. In a rare example of real journalism, the Associated Press examined the Democrats' legislation and found that it would extend full healthcare benefits to illegal aliens. It also repeals the Hyde Amendment, lifting "longstanding restrictions on taxpayer-funded abortions." Free healthcare for illegal aliens and free abortions too. Those are the left's priorities. Is that how you want your hard-earned tax dollars spent? Tags: Gary Bauer, Campaign for Working Families, Denying America's Greatness, Losing Our Greatness, The Left's Priorities To share or post to your site, click on "Post Link". Please mention / link to the ARRA News Service and "Like" Facebook Page - Thanks! by Cully Stimson: What a mess. So many questions, and so little transparency in this nutty, high-visibility case. For example, why did the Cook County State’s Attorney’s Office drop the case against Jussie Smollett? Why did it agree to have the record sealed? Why didn’t it consult with the police who investigated the crimes before disposing of the case? Why did it give Smollett a sweetheart deal, rather than force him to go to trial or at least insist on a guilty plea, or even a plea of no contest? Was there political pressure to drop the case? And if so, who exerted the pressure on whom, and to what end? These questions demand answers. The way this case ended leaves a bad taste in everyone’s mouth, much like the college admissions scandal angered everyone. This was not a just result for such a serious allegation, which proved to be a sick hoax. Chicago Mayor Rahm Emanuel and Police Superintendent Eddie Johnson were understandably furious about the outcome. “Where’s the accountability in the system? You cannot have, because of a person’s position, one set of rules applies to them and another set of rules apply to everyone else,” steamed Emanuel. 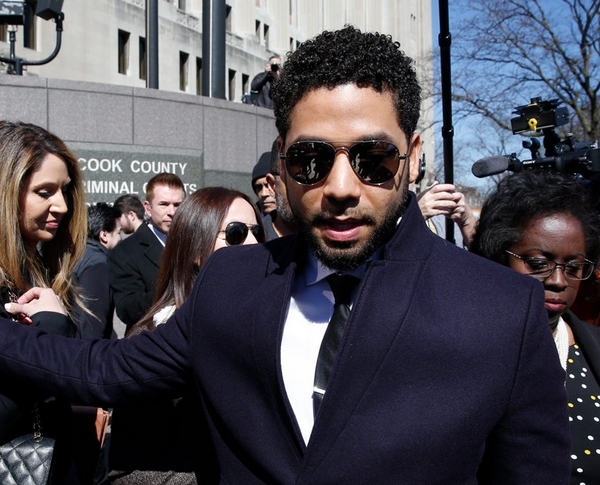 The explanation offered by the State’s Attorney’s Office, that if he was found guilty, it was unlikely that Smollett would have gone to prison and his punishment would likely have just been restitution and community service misses the point. Even if this were true, Smollett would have been found guilty of this heinous hoax. He would have received the legal and societal opprobrium he deserves. And what to make of the texts and emails from Tina Tchen to Kim Foxx? Tchen, a former Obama administration official, and friend of Foxx, weighed in on Smollett’s behalf. Did that influence the ultimate disposition of the case, and if so, how? These, and other related questions, cry out for answers. We already have some answers, however. Here we will unpack the case, the investigation, the indictment, why and how cases are usually resolved, why this case matters, and wrestle with lingering questions of how this ended the way it did. During an interview with ABC News, Smollett said that the return address was in large red letters and said MAGA, a reference to the Trump moniker “Make America Great Again.” That case was turned over to the FBI, and was not part of the Chicago Police Department investigation or the state’s attorney’s case against Smollett. We don’t know what the FBI, or for that matter the U.S. attorney for the Northern District of Illinois (Chicago), has done with that investigation, or whether Smollett, or anyone else, is a “person of interest” in that case. But President Donald Trump has called on the FBI to investigate why the state charges were dropped, so there may be more to this story in the weeks to come. A week later, Smollett alleged that on Jan. 29, at 2 a.m., as he was walking to his residence, he was “approached by two offenders who engaged in racial and homophobic slurs” directed at Smollett. The two men struck Smollett “about the face and body causing minor injuries.” The police reports released so far (which were released by the police to rebut Smollett’s claims of innocence) contain these allegations. There are other police reports in this case that have not been released by the Chicago Police Department, and the ones that have been released have been (properly) redacted to cloak the identities of persons and sensitive addresses. Among the as-yet unreleased reports would be the original police report when Smollett first reported the attack, and any supplemental reports stemming from that initial report. We also don’t know if there are other police reports that document how and when police first suspected, then investigated the possibility that Smollett, not two random men, orchestrated the attack against himself. And finally, none of the released police reports state exactly what the alleged assaulters actually said to Smollett during their attack, or how and where they poured the bleach on Smollett during the attack. And there are pages missing from the released police reports as well. But the released reports evince a thorough professional investigation by the Chicago Police Department, and also point to one inescapable conclusion: This case is not a whodunit. Smollett orchestrated this fake hate crime attack on himself, as the evidence against him is overwhelming. According to the reports, Smollett enlisted the help of two brothers, Abimbola Osundairo and Olabinjo Osundairo, to carry out the attack against him. The Osundairos are both black males. According to the indictment, Smollett alleged that one of his attackers was a white male (not true), that the white male wore a ski mask, and that as they beat him, they poured a liquid onto him and put a rope around his neck and pulled him by the rope. How the police figured out who the Osundairos were is not clear from the police reports, but it likely happened because of the extensive video surveillance police reviewed from hotels, stores, and street cameras. Police eventually identified and spoke with the Osundairos, who told police about the wild scheme. They said that Smollett gave them a check for $3,500 on Jan. 27, and that he also gave them a $100 bill on Jan. 25, which they used to purchase the rope, gloves, face masks, a red hat, and other items. Police recovered video surveillance that confirmed the two purchased those items at the store, and checked their bank records and confirmed a deposit on Jan. 28—one day before the assault—of a check for $3,500 from Smollett. They told police about the bleach. Police had recovered a bottle of El Yucateco Hot Sauce on Feb. 7 near the location of 406 North New Street, which the Osundairos later confirmed was the bottle they filled with bleach and poured on Smollett. Police obtained photos of Smollett’s car and showed the Osundairos the photos. They admitted that the car in the photo was the same car Smollett drove them in on two separate occasions right before the assault. There is also extensive video surveillance footage referenced in the police reports that refute Smollett’s claims and bolster the case against him. Smollett was indicted on 16 related offenses under Illinois law. All 16 charges allege a violation of 720 Illinois Compiled Statute 5/26-1(a)(4), Disorderly Conduct. The charges all center around the activity on Jan. 29, and relate to knowingly transmitting false information to Chicago Police Detective Kim Murray and Chicago Police Officer Muhammed Baig. Each of the separate charges contain specific facts related to criminal conduct by Smollett. If the State’s Attorney’s Office had refused to give Smollett a plea deal, and if he decided to go to trial, it is likely the defense would have filed a motion to dismiss some of the charges as duplicative. Even if the judge refused to grant the defense motion and Smollett was convicted of each charge, it is likely that the sentencing judge would have merged the offenses for sentencing purposes given the overlap between the charges. In other words, his sentence would not have gone up simply because he was charged with 16 (allegedly) different charges. Most criminal cases end in some form a disposition short of trial. This is true across the country, in every prosecutor’s office in every state and jurisdiction. But the final outcome of this case was anything but routine or normal. Smollett was allowed to walk away from the case without admitting guilt, he forfeited his $10,000 bond, the prosecutor gave him credit for 16 hours of community service, his case was sealed by a hand-selected judge, and he was allowed to maintain his innocence. At least now, the city has turned around and is seeking $130,000 from Smollett to cover the costs of the investigation. Yet squandered city resources and the 16 hours of community service Smollett had to perform is nothing compared to the harm he caused, and the very real possibility of the violence that could have come from this hoax. Sixteen hours of community service is what a judge awards a juvenile first-time petty thief. Guilty pleas to each and every felony charge. Guilty plea to some felony charges in exchange for dropping others. Guilty plea to one felony charge in exchange for dropping all other charges. Prosecutor can reduce a felony to a misdemeanor in exchange for a guilty plea to the misdemeanor. Prosecutor can drop some misdemeanor charges in exchange for a guilty plea to some or one misdemeanor charge. Prosecutor can drop all misdemeanor charges in exchange for a guilty plea to one misdemeanor charge. Prosecutor can agree to a conditional guilty plea and diversion into a specialized program, successful completion of which results in the dismissal of the charges. Defendant can agree to plead no contest to a charge or charges, in exchange to the prosecutor agreeing to dismiss other charge(s). Prosecutor can agree not to indict a defendant with a felony if he pleads guilty to a specific misdemeanor(s). Inability to prove the case beyond a reasonable doubt. Inability to admit key evidence necessary to convict. Loss of a key witness necessary to convict. If doing so is in the interests of justice. There are other more obscure dispositions of cases one can find around the country, but these are the most common. In virtually all of those scenarios, the prosecutor informs the victim of the crime of the disposition of the case, and in most circumstances, the prosecutor is required to inform the victim of the plea bargain in order to give the victim a chance to object. Similarly, prosecutors routinely work closely with and notify the police who investigated the case that a plea bargain is in the works. Police are used to cases being disposed of short of trial, as most cases don’t go to trial. There is a natural and usually healthy tension between the prosecutor’s office and the local police department. Police work hard, investigate crimes, and bring cases to the prosecutor in the hope that the prosecutor will pursue charges. In many instances, when the police investigate a crime and hand the case over to the prosecutor, the prosecutor will—after making an independent evaluation of the facts, evidence, and strength of the case—file charges against the suspect. Sometimes police agree with the charges; other times, they disagree. But the relationship goes on, as long as each side communicates and individuals trust each other. This case is important on a number of levels. First, Smollett staged a despicable crime, according to Chicago Police and the state’s attorney. The sick script evoked one of the ugliest chapters of America’s past—where African-Americans were routinely lynched by white supremacists just for sport—and tied it to anti-Trump hatred by feeding the narrative of some who believe Trump endorses white supremacists. The noose, the MAGA hat, the bleach (ostensibly to “make” Smollett’s skin white), the white perpetrator were all designed to fan the flames of a country on the razor’s edge regarding race, equality, and justice. He knew the pot he was stirring would come to a boil if the hoax wasn’t discovered. Second, the case also matters because the public needs to have confidence in the criminal justice system. No one is above the law. This case sends a loud and clear message to the public that there is a two-tiered justice system—one for the rich and well-connected, and one for the rest of us. Even the National District Attorneys Association, which represents America’s 2,700 prosecutor offices around the country, strongly criticized the handling of this case. In a sharply worded statement, it pointed to grave deficiencies in the handling of this case that, in its opinion, diminished the public’s confidence in the criminal justice system. It noted that when Foxx, the elected state’s attorney, recused herself from the case, the entire office should have been recused. Fourth, expunging Smollett’s record “at this immediate state is counter to transparency.” As noted above, the state’s attorney had numerous ways to dispose of the case short of trial that still held the defendant accountable. Yet for some reason—not yet known to the public—Foxx gave Smollett a pass and sealed the record so no one could see the truth. This case has been a mess for Chicago and a sad episode for America. Chicago’s recent decision to seek $130,000 from Smollett is a sign he may not have the last word, and it remains to be seen whether federal prosecutors will at some point choose to step in. The case may be sealed, but it certainly isn’t over. Charles “Cully” Stimson (@cullystimson)is a leading expert in national security, homeland security, crime control, immigration and drug policy at The Heritage Foundation’s Center for Legal and Judicial Studies and the Center for National Defense. He shared this article on The Daily Signal. Tags: Unanswered Questions, Jussie Smollett Case, Charles Stimson, The Daily Signal To share or post to your site, click on "Post Link". Please mention / link to the ARRA News Service and "Like" Facebook Page - Thanks! by Daniel Greenfield: We are repeatedly told that only Islamophobes question the virtues of Islamic Sharia law. They've made a choice between Islamophobia and Homophobia. And they're not even apologizing to the gay people whom Sharia has killed and is about to kill in Brunei.Brunei could start whipping or stoning gay people to death next week when strict new laws are introduced, human rights groups have warned. Islam is so enlightened that there's no doubt we should welcome Sharia law in America.The Sultan, who has reigned since 1967, has previously said the Shariah Penal Code should be regarded as a form of 'special guidance' from Allah and would be 'part of the great history' of Brunei. Under a shift towards hardline Islamic law, Brunei in 2015 banned excessive Christmas celebrations for fear that Muslims could be led astray.If only lefties were as outraged over this, as they are over any time Israel kills an Islamic terrorists. 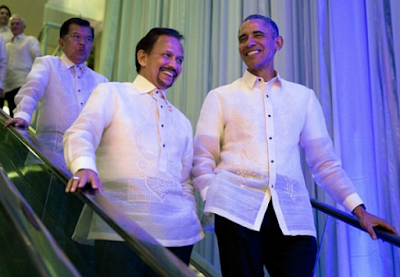 You know who was a fan of Brunei?President Obama couldn't resist a few cracks Tuesday with the sultan of Brunei. Noting that Sultan Hassanal Bolkiah flew his own airplane to the United States -- a 747, no less -- Obama said: "So in case Air Force One pilots have problems, we know who to consult." The president then pointed out that the sultan and his family are flying to New York. "We're going to encourage him to do some shopping because we want to continue to strengthen the U.S. economy," Obama said.And Brunei's Islamist tyrant loved him right back.The State Department reported Tuesday that the queen of Brunei gave Mrs. Obama jewelry worth $71,468 in 2013. The flower-shaped white gold earrings, ring and necklace were studded with yellow sapphires and diamonds, according to the department’s annual accounting of gifts published in the Federal Register. That’s almost seven times more valuable than the most expensive gift received by President Barack Obama, a glass amber-colored sculpture of a falcon on a branch worth $10,400 from Qatar’s ambassador to the U.S.Islamists always loved the Obamas. Daniel Greenfield (@Sultanknish) is Shillman Journalism Fellow at the David Horowitz Freedom Center and an investigative journalist and writer focusing on radical Left and Islamic terrorism. Tags: Daniel Greenfield, FrontPage mag, Obama, Brunei's Islamic Pals, May Begin, Stoning Gay People, Next Week To share or post to your site, click on "Post Link". Please mention / link to the ARRA News Service and "Like" Facebook Page - Thanks! by Michael Barone: Collusiongate is now history. The late-Friday afternoon announcement that special counsel Robert Mueller had completed his investigation and Attorney General William Barr's four-page letter released Sunday made it clear. "The investigation did not establish that members of the Trump Campaign conspired or coordinated with the Russian government in its election interference activities," Barr wrote. This is not what you expected if you've been watching CNN or MSNBC or reading The New York Times or the Washington Post these past few years. Their viewers and readers have been savoring the prospect of Donald Trump being frog-marched out of the White House on his way to prison, the smirk off his face. Now it's clear that's not going to happen. The House isn't going to impeach, and the Senate isn't going to remove. That will be done, if by anyone, by the voters in 2020. Perhaps his exoneration -- not too strong a word -- will improve his surprisingly stable poll numbers. Perhaps not. Certainly, he will have greater credibility any time he charges the press with spreading "fake news." For that proposition, he could cite the leftish journalist Matt Taibbi, no Trump sycophant (his last book is titled "Insane Clown President"). Mueller's conclusion, Taibbi writes, "is a death-blow for the reputation of the American news media." In exhaustive detail, he lays out how major news organizations repeatedly and unrepentantly "broke every written and unwritten rule in pursuit of this story, starting with the prohibition on reporting things we can't confirm." Reporters and editors often make news judgments based on their guesses of what the underlying truth is. When those guesses are wrong -- in this case, spectacularly wrong -- they further a narrative that can fairly be called "fake." Clearly, many in the media thought Collusiongate was their generation's Watergate, their road to fame and fortune, plus repudiation of a president and a party they hate. Instead it has been a road to disgrace. It has been a disgrace as well, as Taibbi argues, for our intelligence agencies. He compares their promotion of Collusiongate with their assurances that Saddam Hussein was seeking weapons of mass destruction. But he doesn't note one important difference. On Iraq, the intelligence agencies were doing their job as best they could, and subjected the evidence to the pessimistic appraisal that is arguably appropriate in that work. On Collusiongate, the CIA and the FBI were acting contrary to their usual rule of refraining from interference in domestic politics. Instead, as has become clear thanks largely to former House Intelligence Chairman Devin Nunes, they were relying heavily on a document bought and paid for by the Democratic National Committee -- to the point of presenting it, without identifying its provenance, as evidence to the Foreign Intelligence Surveillance Act court. That, of course, was the now-famous Steele dossier, prepared by the former British spy Christopher Steele, purportedly based on telephone or email conversations with unidentified Russians. If much of it seemed far-fetched, Steele's employer, Fusion GPS founder Glenn Simpson, said Steele could judge the credibility of Russians from afar. But Steele recently confessed that he assumed comments by "random individuals" on CNN's website were verified by the network, even though the website said they weren't. Some sleuth! "When I read the report, I was in shock," Taibbi writes of Steele's work. "I thought it read like fourth-rate suspense fiction." This shoddy work was evidently the prime or only basis for federal government secret surveillance of an opposition party's presidential campaign. I'm old enough to remember when liberals looked askance at this sort of thing and didn't believe that citizens have a patriotic duty to believe every statement from an FBI official. Some Democrats are now eager to put a fine-toothed comb through Mueller's full report for evidence against the Trump campaign, and to emphasize Russian shenanigans. The Russians did indeed hack the DNC, and they tried but failed to hack the Republicans, too. This is not new stuff: Franklin Roosevelt complained that the communists opposed him in 1940, during the Hitler-Stalin pact. I've written that the Democrats have been overinvested in Collusiongate and would be wiser to concentrate on other, forward-looking issues. And now some Democrats are urging just that. Put aside the dog-eared copies of the Steele dossier and safely dispose of the Robert Mueller votive candles. Everyone makes mistakes. But the government officials who promoted Collusiongate should not get off so easily. I'm biased, in favor of respecting elections, and I think that a CIA or FBI director who tries to tilt them their way should be held morally accountable. Anyone disagree? Tags: Michael Barone, editorial, Rasmussen Reports, R.I.P. Collusiongate To share or post to your site, click on "Post Link". Please mention / link to the ARRA News Service and "Like" Facebook Page - Thanks! Are all civilizations and cultures equal, or are some more equal than others? by Patrick Buchanan: As the Democratic Party quarrels over reparations for slavery, a new and related issue has arisen, raised by the president of Mexico. Andres Manuel Lopez Obrador has written Pope Francis I and King Felipe VI to demand their apologies for the Spanish conquest of Mexico that began 500 years ago with the “invasion” of Hernando Cortez. Arriving on the Gulf Coast in 1519, Cortes marched in two years to what is today’s Mexico City to impose Spanish rule, the Spanish language and culture, and the Catholic faith upon the indigenous peoples. Now no one denies that great sins and crimes were committed in that conquest. But are not the Mexican people, 130 million of them, far better off because the Spanish came and overthrew the Aztec Empire? 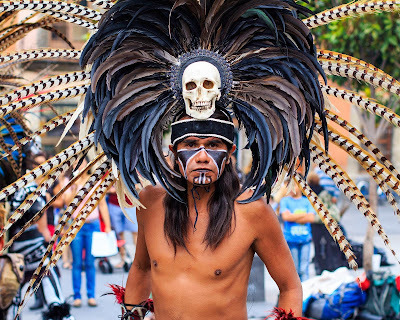 Did not 300 years of Spanish rule and replacement of Mexico’s pagan cults with the Catholic faith lead to enormous advances for its civilization and human rights? Or is there never a justification for one nation to invade another, conquer its people, impose its rule, and uproot and replace its culture and civilization? Is “cultural genocide” always a crime against humanity, even if the uprooted culture countenanced human sacrifice? Did the Aztecs have a right to be left alone by the European world? If so, whence came that right? Which leads to another question: Are all civilizations and cultures equal, or are some more equal than others? Are some superior? Before recent decades, most Americans were taught to believe the West stood above all other civilizations, and America was its supreme manifestation. And much of the world seemed to agree. As for the assertion that all civilizations and cultures are equal, that is an ideological statement. But where is the historic, scientific or empirical evidence to support that proposition? How many people really believe that? He wondered if Spain should seek an apology from France for the invasion of the Iberian Peninsula and crimes committed by the armies of Napoleon, or if France could demand an apology from Italy for the invasion of Gaul by Julius Caesar? Unlikely to get an apology from the king, Lopez Obrador may do better with Pope Francis who is into begging for forgiveness for crimes committed in the Spanish-Portuguese conquest and rule of South America. As The New York Times related in its story on the “chilly response” in Madrid to Mexico’s demand, other Western leaders — not only Barack Obama — are very much into this apology fad. Justin Trudeau has apologized for Canada’s mistreatment of its indigenous peoples. France’s Emmanuel Macron has apologized for the torture of rebels in Algeria’s war for independence. The Spanish right, however, is not with the program. Behind this demand for an apology from Spain and the Church is a view of history familiar to Americans, and rooted in clashing concepts about who we are, and were. Have the Western peoples who conquered and changed much of the world been, on balance, a blessing to mankind or a curse? Is the history of the West, though replete with the failings of all civilizations, not unique in the greatness of what it produced? Or are the West’s crimes of imperialism, colonialism, genocide, racism, slavery and maltreatment of minorities of color so sweeping, hateful and shameful they cancel out the good done? Is the white race, as Susan Sontag wrote, “the cancer of human history”? As we see the monuments and memorials to the great men of our past desecrated and dragged down, the verdict among a slice of our intellectual and cultural elites is already in. Thumbs down. They agree with the moral shakedown artist of Mexico City. Query: Can peoples who are ashamed of their nation’s past do great things in its future? Or is a deep-seated national guilt, such as that which afflicts many Germans today, a permanent incapacitating feature of a nation’s existence? Patrick Buchanan (@PatrickBuchanan) is currently a conservative columnist, political analyst, chairman of The American Cause foundation and an editor of The American Conservative. He has been a senior adviser to three Presidents, a two-time candidate for the Republican presidential nomination, and was the presidential nominee of the Reform Party in 2000. He blogs at the Patrick J. Buchanan. Tags: Patrick Buchanan, conservative, commentary, Must the West, Beg the World, for Forgiveness? To share or post to your site, click on "Post Link". Please mention / link to the ARRA News Service and "Like" Facebook Page - Thanks! by Tom Knighton: For most pro-gun advocates, when we talk about defending the Second Amendment from infringement, we talk about our rights. There’s a reason for that. Our rights are sacred and vital. They’re what makes this nation great. However, anti-gunners don’t think gun rights are real rights. That’s how long it took New Zealand’s parliament, led by Prime Minister Jacinda Ardern with the support of opposition leaders, to ban military-style assault weapons in the wake of a deadly rampage at two mosques in Christchurch that claimed the lives of 50 people. The speed with which the island nation acted was a triumph of political will in the face of unspeakable tragedy. And it holds lessons for American policymakers who have been utterly paralyzed in the face of mass shootings in our own houses of worship, schools and public spaces. Up front, it’s important to acknowledge that there are some material differences between New Zealand’s political system and our own. Notably, there is no equivalent to our Second Amendment, which means New Zealanders have no legal right to own weapons for self-defense. In addition, New Zealand’s parliament is unicameral, which means there are far fewer political pinch points to derail such measures. Compare that to the American federal system where bills can be derailed at any point by powerful committee chairpeople, by influential and deep-pocketed interest groups, by the president himself and by the U.S. Supreme Court, which can make the ultimate call on a law’s constitutionality. Most of the time, the system works – protecting the rights of the minority from the tyranny of the majority. But when it comes to gun-control measures, from universal background checks to bans on bump stocks and high- capacity magazines, the exact inverse is true. A noisy minority, backed by a powerful lobbying group in the National Rifle Association, has effectively stymied passage of even the most basic modifications in federal law.So, the system works to protect the rights of the minority from the tyranny of the majority, except if that minority appears to be gun owners. You see, there’s a perception out there that the Second Amendment is only supported by a small segment of the American population. Anti-gunners like to believe they’re the majority while we’re just a fringe group of radicals. The fact the U.S. political system works to keep minorities safe from the tyranny of the majority becomes a problem for the anti-gunners who want to infringe on the rights of who they see as the minority, primarily Second Amendment supporters. The writer fails to note in any way this is the opposite of protecting a minority from the majority. In fact, he essentially says that gun rights advocates are a minority and being protected. He just doesn’t like it. The thing is, protecting the rights of the minority doesn’t just mean protecting minorities as people. It means protecting minority positions as well — things like gun rights, for example. The answer is simple. In the writer’s mind, gun rights aren’t rights. I suspect that he’s trying to argue that the issue is that our gun rights are being protected while his imaginary right to be safe is somehow infringed. Unfortunately, no such right exists. You have no right to safety because there’s no reasonable way to protect that right. Life is inherently dangerous. Cars kill tens of thousands of people every year, yet there’s no concerted push to deny people the ability to own them. They’ve been used by terrorists, yet there’s no demand for background checks before selling or renting a vehicle. Even if there was, accidents still happen. Buildings collapse. Things fall. People fall. You can’t keep everyone safe and sound, which is why there’s no inherent right to safety. But there is a right to have the means to keep yourself as safe as possible. That means there is a right to own guns. No, it does seem a lot of people aren’t fans of that right just now. Frankly, I don’t care. I don’t care if I’m literally the only person left alive who supports the right to keep and bear arms, I still have that God-given right. We may be a “noisy minority,” but as the writer notes, our system of government is built to protect the minority from the tyranny of the majority. I’m just damn glad it works. Tags: Tom Knighton, Bearing Arms, To Anti-Gunners, Gun Rights, Aren’t Really Rights To share or post to your site, click on "Post Link". Please mention / link to the ARRA News Service and "Like" Facebook Page - Thanks! 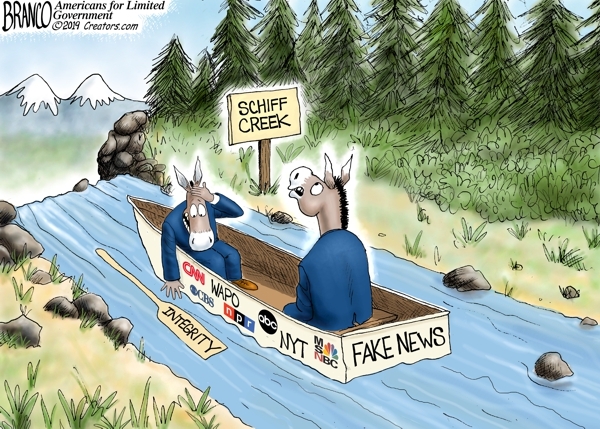 Uncharted Waters . . .
. . . Schiff is pulling his Democrat party and their propaganda fake news machine the mainstream media over the edge. Tags: AF Branco, editorial cartoon, Uncharted Waters, Schiff, Democrat Party, propaganda, fake news, mainstream media, over the edge To share or post to your site, click on "Post Link". Please mention / link to the ARRA News Service and "Like" Facebook Page - Thanks! by Jeremiah Poff: A 13-year-old Ohio middle schooler now has a three day suspension on his permanent record. His crime? Making a battlefield cross replica for a school history project. Tyler Carlin, a student at Celina Middle School in Celina, Ohio only wanted to honor the nation’s fallen soldiers, but was instead handed a three day in school suspension. The battlefield cross is a military memorial that usually places the fallen soldier’s rifle in his boots with his helmet hung over it. Carlin, with permission from his teacher, used a Nerf Dart blaster to recreate the memorial. 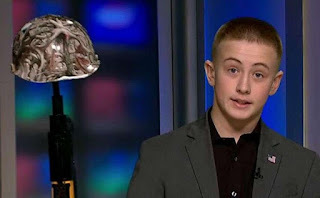 Upon arriving to school to present his project, which included a powerpoint presentation, Carlin was stopped by a school official and told to leave his memorial in the school’s office. Faber said that Carlin was then allowed to give the presentation, but without the visual aid of the memorial. Following his presentation, Faber said, Carlin’s parents were called to the school and were informed that their son had been suspended for three days for bringing his memorial. Carlin’s attorney said that the county is overwhelmingly conservative, with President Trump carrying 83 percent of the vote in 2016. “This isn’t some big city where everybody gets twitchy about stuff like this. This is good conservative Ohio,” he said. Faber said he had a 22 minute meeting with the school superintendent, and was told that the school would not be changing its position. Not wanting to file a lawsuit, Faber said that the school has a list of what the Carlins would like, namely that Tyler’s suspension be removed from his record, and that he be issued an apology, and the official who handled the situation be required to take child interaction training. “The last thing we’ve asked for is that the school helped facilitate putting up a fallen soldiers monument a battle cross somewhere on school grounds so that so that children can see this,” Faber said. 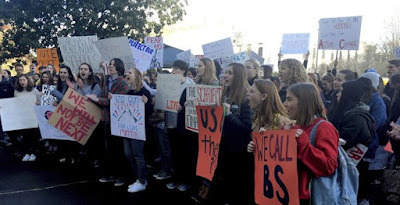 Faber expressed hope that the situation would be resolved amicably, and told Starnes that his firm was willing to waive attorney fees the school would be required to pay as a gesture of goodwill if the issue could be resolved promptly and amicably. “I don’t think we’re asking for too much,” he said. Todd Starnes (@toddstarnes) is A Christian Conservative, the host of Fox News & Commentary and heard daily on 250+ radio stations and on his iTune podcasts. Tags: Jeremiah Poff, article, Todd Starnes, commentary, Ohio Middle Schooler, Tyler Carlin, Celina Middle School, Ohio, suspended, honoring, Fallen Soldiers, battlefield cross replica, school history project To share or post to your site, click on "Post Link". Please mention / link to the ARRA News Service and "Like" Facebook Page - Thanks! 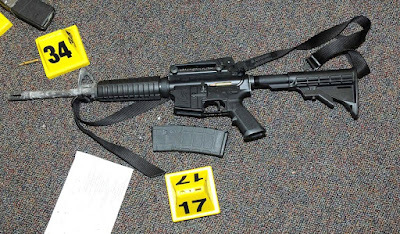 by Kerby Anderson, Contributing Author: The Connecticut Supreme Court is allowing a lawsuit from the Sandy Hook shooting to go forward. Kevin Williamson refers to it as a “Bogus Lawsuit Against Remington.” He raises important questions about the propriety and constitutionality of the legal case. First, he reminds us that in tort law the focus is usually on the entity with deep pockets. That couldn’t be Adam Lanza who killed himself. It probably couldn’t be the institutions that counseled him. Therefore, the focus of the lawsuit is on Remington with the lawyers claiming that the company’s marketing practices contributed to the Sandy Hook shooting. Second, he also reminds us that this connection doesn’t really work. His mother is the person who purchased the gun. Adam Lanza stole the gun from her and murdered her. In an effort to get around this, the Connecticut court gets creative and tries to apply the unfair trade practices act in order to allow the Sandy Hook lawsuit to go forward. The problem is that there is nothing in the ads for the gun that describes or urges illegal conduct. Toward the end of the legal opinion, it becomes obvious that the real target is not the ad for the gun but rather the gun itself. They describe it as a “quasi-military, semiautomatic assault rifle” and thus see the lawsuit as legitimate. This is a bad decision from the Connecticut court and reason enough for the U.S. Supreme Court to step in and reverse it. Kerby Anderson (@kerbyanderson) is a radio talk show host heard on numerous stations via the Point of View Network endorsed by Dr. Bill Smith, Editor, ARRA News Service. Tags: Sandy Hook Lawsuit, Connecticut Supreme Court, David French, Anderson, Viewpoints, Point of View To share or post to your site, click on "Post Link". Please mention / link to the ARRA News Service and "Like" Facebook Page - Thanks! by Paul Jacob, Contributing Author: Special Olympics has found a way to get kids and young adults with disabilities to feel something important: Able. Three decades ago, as part of a community service requirement, I spent one day each week working with physically and intellectually-challenged adults at Easter Seals in Little Rock, Arkansas. I loved it. Most unforgettable were their beaming smiles of pride when they got a chance to show what they could do. I’ve always loved sports, but never as much as there and then. In the decades since, my family has given to the Special Olympics what financial support we could afford. 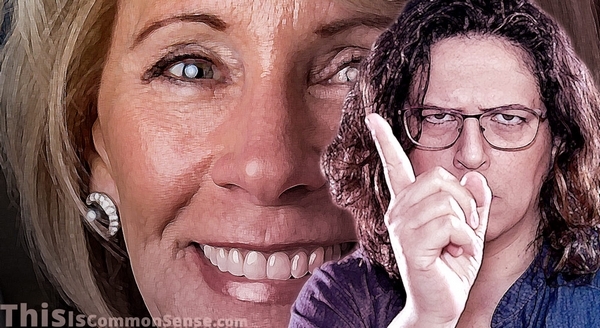 So, can you imagine how I must feel hearing Education Secretary Betsy DeVos testify in favor of cutting all $17.6 million in federal funding for the Special Olympics? “It’s appalling,” declared Rep. Barbara Lee (D-Calif.). “Cruel and reckless” were the words Rep. Rosa DeLauro (D-Conn.) used. Federal funding provides only 10 percent of Special Olympics revenue, with over $100 million raised annually in private donations. So, how must I feel about DeVos’s suggested cuts? Gratitude . . . for her generous contributions to Special Olympics — and for her fiscal responsibility. Let’s fund this wonderful program without the government forcing (taxing) support from others. Check, cash or credit card is always preferable to virtue-signaling gum-flapping. * Special Olympics is one of four charities to which DeVos donated her entire 2017 federal salary. Paul Jacob (@Common_Sense_PJ ) is author of Common Sense which provides daily commentary about the issues impacting America and about the citizens who are doing something about them. 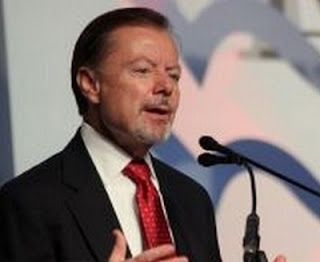 He is also President of the Liberty Initiative Fund (LIFe) as well as Citizens in Charge Foundation. Jacob is a contributing author on the ARRA News Service. Tags: Make Others Pay?, Paul Jacobs, Common Sense To share or post to your site, click on "Post Link". Please mention / link to the ARRA News Service and "Like" Facebook Page - Thanks! by David Limbaugh: Joe Biden has reached new heights of pandering. He has achieved the Olympic gold in cultural groveling. He must really want to be president. I am always amazed that people think Biden is so transparent and genuine. Yes, he shoots his mouth off before thinking sometimes, as we all do, but way more than a high-profile public official should. But that’s more a function of his impulsiveness and arrogance than his authenticity. That’s why I’m not surprised to read that Biden disgraced himself this week by lamenting the impact of “white man’s culture” and apologizing for his role in supposedly undermining Anita Hill’s credibility as a witness in the 1991 Supreme Court confirmation hearings for Justice Clarence Thomas. Notice in both instances Biden was not apologizing. He knows that in this #MeToo era, he must get in front of any perceived criticisms of his treatment of women. But he also knows he bent over backward to help Hill and smear Justice Thomas. He owes Thomas an apology, not Hill. Instead, he pretends he’s sorry that he couldn’t muzzle Republican senators and conduct a kangaroo hearing against Thomas. Does America want to elect a man who is so anxious to be president that he regrets his inability to violate Senate rules and our enshrined common law tradition of allowing the accused to confront the witnesses against them? If Biden really believes Hill should have been insulated from cross-examination, then he’s sold his soul in his quest for power. He understands that to curry favor in today’s Democratic Party, you must be willing to deny freedom of expression and due process to your political opponents. If Biden doesn’t believe it, then what else is he willing to say to become the 46th U.S. president? Well, we have the answer, don’t we? As a white male, he has to say he’s ashamed of his race and gender. He said that Hill, an African-American, shouldn’t have been forced to face a panel of “a bunch of white guys” about her sexual harassment allegations against Thomas. Really? So Biden regrets he didn’t issue a lawless edict, as head of the Judiciary Committee, to reconstitute that committee on the spot by expelling some old white guys and replacing them with black senators? Or that he didn’t ask some of them to stand down? Do you see how utterly ridiculous this is? How can you take Biden seriously when he says something so ludicrous? Hill wasn’t a victim. She was a witness making damning allegations against a Supreme Court nominee. Her race and gender don’t entitle her to special protection or exemption from rigorous cross-examination. These white male liberals are appallingly patronizing. Anita Hill was an accomplished law professor at the time. Why would Biden treat her as if she’s some vulnerable wallflower? Is that what the woman’s movement has come to? I guess you get props for trying to catch up to the postmodern cruise ship in your canoe. How much must you disrespect yourself to get on board with this divisive race- and gender-obsessed party? I keep telling you worriers that the notion that the Democratic old guard will bring the extremist upstarts back to Earth in time for the presidential campaign is a myth. Instead, the old guardsmen are sprinting to the left to capture some of that AOC-type love that now dominates the party. It’s a beautiful thing. 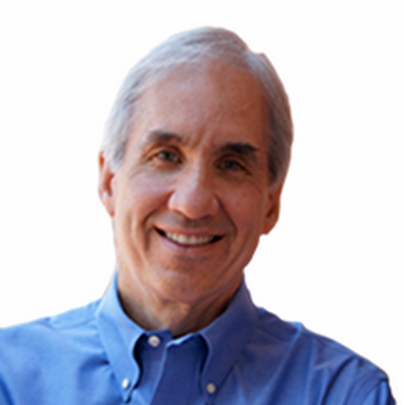 David Limbaugh is a writer, author and attorney. His latest book is "Jesus is Risen: Paul and the Early Church." Follow him on Twitter& @davidlimbaugh and his website at davidlimbaugh.com. Tags: David Limbaugh, Joe Biden, Pathetic Pandering To share or post to your site, click on "Post Link". Please mention / link to the ARRA News Service and "Like" Facebook Page - Thanks! by Daniel Greenfield: Votive candles of Robert Mueller III will set you back between 10 and 22 bucks. These candles feature everything from the standard black-suited G-man picture to one of a droopy Mueller in saintly robes pointing at his own glowing heart. By tomorrow or next week at the latest, you will be able to snag what Portland Monthly dubbed last year, the “hottest gift” of the holiday season in the bin at the Dollar store. The candles, the buttons, the t-shirts, the mugs and the other Mueller tchotchkes which briefly made their peddlers wealthy, are all headed for that bin after he broke the hearts of his biggest fans. Vogue dubbed Mueller, a 74-year-old lawyer, “America’s newest crush”. “He can evoke shades of Humphrey Bogart and has mastered a nearly Zoolander-esque gaze,” the style mag raved. Just in January, Vanity Fair published an even trashier ode to Mueller, declaring, “Mueller Won the Hearts of America”. By America, the lefty mags, like all lefty culture manufacturers, meant themselves. A lesbian folk band wrote a love song to Mueller, crooning, “I see you on TV / I see you in my dreams”. Spike Lee wore a t-shirt that screamed, “GOD PROTECT ROBERT MUELLER”. Chelsea Handler tweeted, “I’m starting to have a real crush on Mueller.” Stephen Colbert compared him to Batman. A California artist claimed that looking at a picture of Mueller reassured him that everything would be okay. “Since he's in charge, the world can be normal again,” he rhapsodized. Tonight, the votive candles have gone out. Batman has fallen. And the lefties who went to bed believing in Mueller have lost their faith. But was it really these fans who had built Mueller’s pedestal of lies or was it the New York Times? That paper, along with the Washington Post, MSNBC and a thousand less famous internet grifters had built Mueller’s fan base out of a crumbling pedestal of conspiracy theories and wishful thinking. Like the fans of another FBI based show, the lefties had wanted to believe. But the media made them believe. The candles, the songs and the shirts were just the totems of a political mythology based on lies. The Mueller investigation was never about Mueller. The Washington D.C. insider was just a useful front man for a team of Obama and Clinton supporters, most notably disgraced figure Andrew Weissmann, whose ugly tactics were all over the circus. 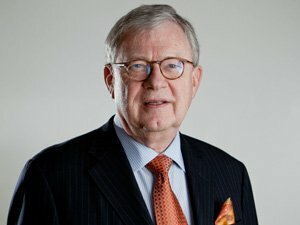 Mueller was a partner in Wilmer Cutler Pickering Hale and Dorr: one of the most liberal law firms in an academic analysis of law firms by political lean. He was ‘their’ guy. And more usefully, he had respectable law enforcement and Republican cred. Media Mueller profiles dwelled on his clothes. “A traditional J. Edgar Hoover-era G-man uniform: dark suit, red or blue tie and white shirt—always white,” a Washington Post mythologized. “He’s conscious that he’s a public figure, and he doesn’t want anything to compromise his integrity. Even a blue shirt," a Mueller ally told the paper. Would a blue shirt have really compromised Mueller’s integrity? Costumes don’t make men ethical. But they can serve as useful disguises for unethical men. The “G-man uniform” and the regular haircut that progs, who normally chant, “Black Lives Matter” at law enforcement, gushed over, were costumes. Robert Mueller III was also the costume that a bunch of Obama and Clinton allies wore. Mueller wore white shirts and dark suits. And the men and women behind Mueller wore him like a cheap suit. Mueller’s fans, lighting votive candles with his face on it, needed someone to believe in. The political operatives who created a campaign to undermine confidence in the 2016 election, needed that too. They wanted someone to give their partisan campaign the professional look of a 74-year-old model willing to put his name on the investigation and be photographed wearing his costume to work. Media profiles noted how little Mueller said. They invariably attributed this to professionalism. But a man who finds the time to portray his shirt choices as an ethical decision isn’t the strong silent type. Occam’s Razor offers us a simpler answer. Mueller didn’t say anything because he had naught to say. Mueller’s job was to be strong, silent type. The media could and did read anything into his silence. And millions of lefties heard in that deafening silence, potency, professionalism and confidence. The half-ironic, half-sincere worship of Mueller was the political mythology of a pagan time in which there are no gods, only politicians who embody the failing sense of good and evil of the age. “Mass movements can rise and spread without belief in a god, but never without a belief in a devil,” Eric Hoffer once wrote. Trump is the progressive devil. Obama was its old god. And none of the candidates stumbling through the 2020 primaries had the memetic mythical power to topple their orange devil. And so they believed in Mueller. They wore, “It’s Mueller Time” t-shirts and “In Mueller We Trust” caps. They reimagined MAGA as a statement not about American greatness, but about Mueller’s ruthlessness. “Mueller Ain’t Goin’ Anywhere”. Until he did. Mueller’s time is over and Mueller’s trust is broken. As long as Mueller was silent and the report unknown, anything was possible. Mueller’s steadiness appeared to be a compelling antidote to the erratic tics and shiftiness of deep swampers like Clapper, Strzok and McCabe who projected not steady, strength, but personal weakness and failed ambition. But there had to be a report. The investigation had to end. And the dream had to die. The media made Mueller into a WMD of potential energy. But his kinetic energy discharged into a dud. Mueller’s team could hound assorted Trump associates, starting with the easiest catches, force them to plead guilty to process crimes and assorted unrelated violations, but they couldn’t take it any further. State’s witnesses might be enough for the Feds to bring down a lot of people, but not the POTUS. The media cheered as Mueller’s people collected a handful of scalps, and the votive candles were lit by progressive conspirazoids who thought that the public show meant that Trump’s head would be next. But nailing people for unrelated charges is the first step of a conspiracy case. Without actual evidence of a conspiracy, beyond the testimony of the rats in the cage, it remains just another conspiracy theory. Mueller did his job. Not on behalf of the American people. But on behalf of the Democrats who wanted him to harass, tie up and undermine the President of the United States. He took it as far as it could go. And provided material to local Democrats in New York and elsewhere looking to harass Trump more. But there was never going to be any hard evidence proving the bizarre Russian conspiracy theory invented by the Clinton campaign and circulated like poison gas in a sealed room by the media. Collusion was never going to happen. Millions of lefties were told to believe in a lie. It was a very profitable lie. Not just for the grifters selling Mueller knickknacks. The real money was in the media which made a fortune off the lefties eagerly subscribing to the New York Times, the Washington Post and watching MSNBC for the Mueller scoops. Now the final Mueller story is in. The conspiracy theories are however too profitable to die. They will be spun and respun. The theorists will push for the release of the report. They will claim that all the real dirt was censored out of the report. And then they will finally turn on Mueller, draw connections between George W. Bush, Putin, a UFO in orbit around Des Moines, Iowa, and Trump, and claim that Bob III was in on it all along. That is what conspiracy theorists do. They already know what the truth is. They merely needed Mueller to prove what they know. Or, as a recent New York Times op-ed put it, "We Don’t Need to Read the Mueller Report: Even if it is never released, the public already knows enough." Like all holy books, the Mueller report is more than its mere text. It is the faith of its followers. They will go on believing in a true Mueller report while dismissing the real report and the real Mueller. Mueller’s fans never knew who he was. He was an idea. Now the idea, like all lefty ideas, is dead. Its killer was that old villain named Reality who tears through lefty beliefs about economics and politics. One messiah has fallen. It’s time to find another one. Meanwhile, somewhere red hats are beaming and somewhere the sun shines bright. But there is no joy in Swampville, Mighty Mueller has struck out. Daniel Greenfield is a Shillman Journalism Fellow at the David Horowitz Freedom Center and blogs at Sultan Knish. Tags: Daniel Greenfield, The Truth about Mueller, Robert Mueller III To share or post to your site, click on "Post Link". Please mention / link to the ARRA News Service and "Like" Facebook Page - Thanks!